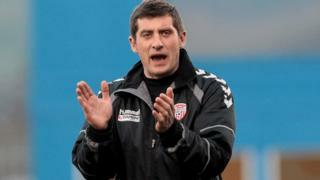 Derry City manager Declan Devine says his team's motivation must be right for Friday's league clash with improving UCD. Ryan McBride and Simon Madden are suspended for the Candystripes with Stephen McLaughlin likely to miss out because of injury. However on the plus side, Stewart Greacen, Owen Morrison, Ruaidhri Higgins and Conor Murphy are likely to return to the squad after missing the 7-1 FAI Cup quarter-final hammering of Mervue United last weekend.